A wave of new projects means a visit to the South Rim is, believe it or not, better than you remember. The canyon without the cars. A redesign has shifted traffic away from Mather Point, one of the canyon’s most popular viewpoints, so you can take in the vista in true peace and quiet. 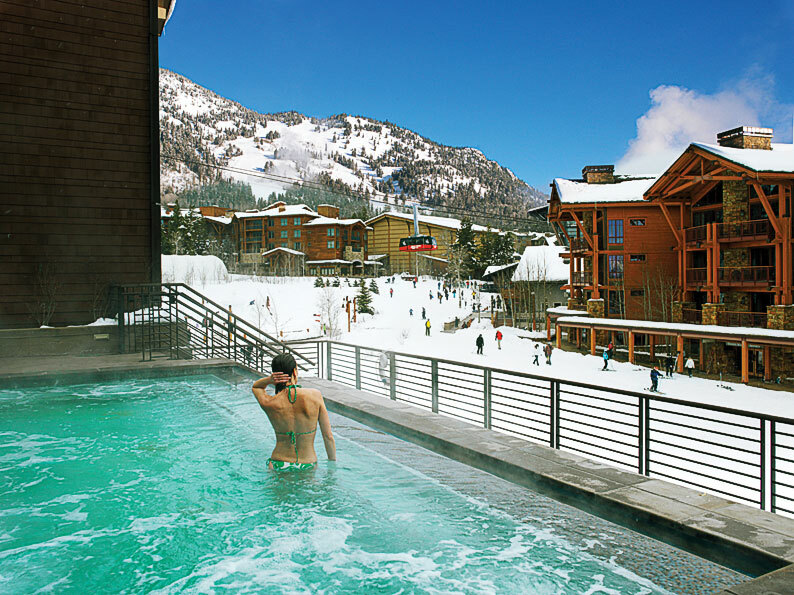 Epic trails, little luxuries. The South Kaibab and Bright Angel trails will always be thigh-burners, but the views make them worth every ache and pain. Now the South Kaibab has undergone the park’s biggest trail overhaul since the 1960s. And the Bright Angel trailhead has shaded seating—just what you’ll need after trekking to the rim. Really, truly a must-see. Pooh-pooh the idea of a visitor center film all you want, but you’d be a sucker to skip Grand Canyon: A Journey of Wonder, chock-full of award-winning cinematography. 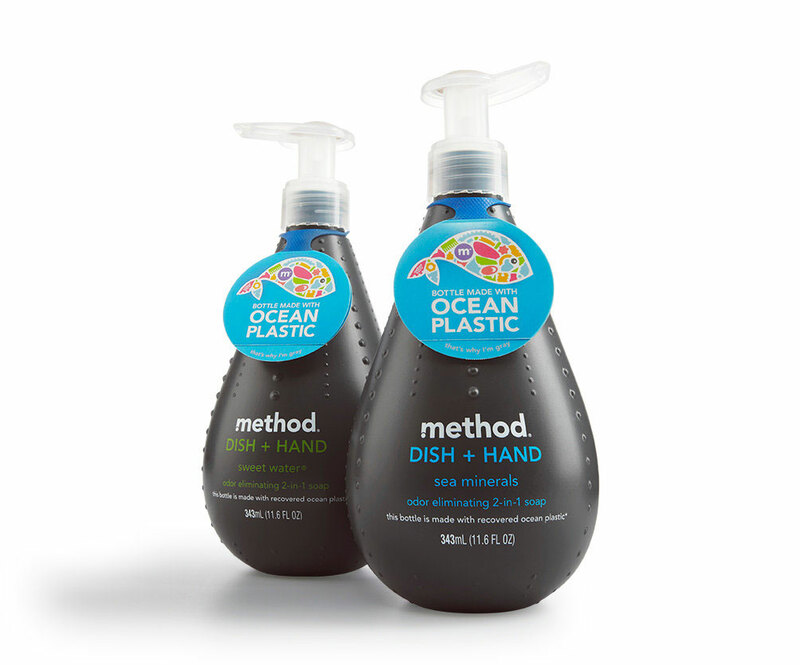 Our artisans’ inspired creations make even simple tasks a pleasure. Learn to play. The uke is a cinch to learn. “Besides the kazoo, nothing is faster,” says Heidi Swedberg, a former Seinfeld actress who teaches at McCabe’s Guitar Shop in Santa Monica. Many of her students can play a dozen songs after just one lesson. On Ukulele Underground, Kauai instructor Aldrine Guerrero is your free online tutor. Swedberg: $60/hour; sukeyjumpmusic.com. Guerrero: ukuleleunderground.com. Spielman Coffee Roasters & Bagels, Portland. Crackly crusted sourdough bagels sweetened with a little honey. The Seedy (pictured) lives up to its name. (503) 467-0600. Freshly milled flour is the hottest pantry staple. What’s more, thousands of flour varieties, all with different flavors and uses, are available, and freshness and variety are revolutionizing the way we bake. If you think there’s nothing for you at a children’s science museum, San Francisco’s revamped Exploratorium will blow your mind. It took more than two years and the massed IQs of hundreds of scientists, artists, and other brainiacs, but they remade an old classic into a sleek, interactive monument to scientific inquiry. The 600 physics and optics and biology and you-name-it exhibits spin, spark, buzz, baffle, and delight. And that’s all before you get a load of the city and bay views from its piertop perch on the Embarcadero. Plus there’s the civilized Seaglass Restaurant, with a comet-inspired bar and tasty, local, sustainable food, like marinated sardines with avocado—yum. Step onto artist Fujiko Nakaya’s Fog Bridge, a sculptural span that disappears into ethereal manmade mists. Listen to the mashup of music and science at the Aeolian Harp, where bay breezes metamorphose into song. Ramen is the “It” dish of the West. From ever-popular Daikokuya (L.A.) to Monta Japanese Noodle House (Vegas) to Benkei Ramen (Vancouver), restaurants West-wide are cooking up steaming bowls of deliciousness that keep lines of customers growing. 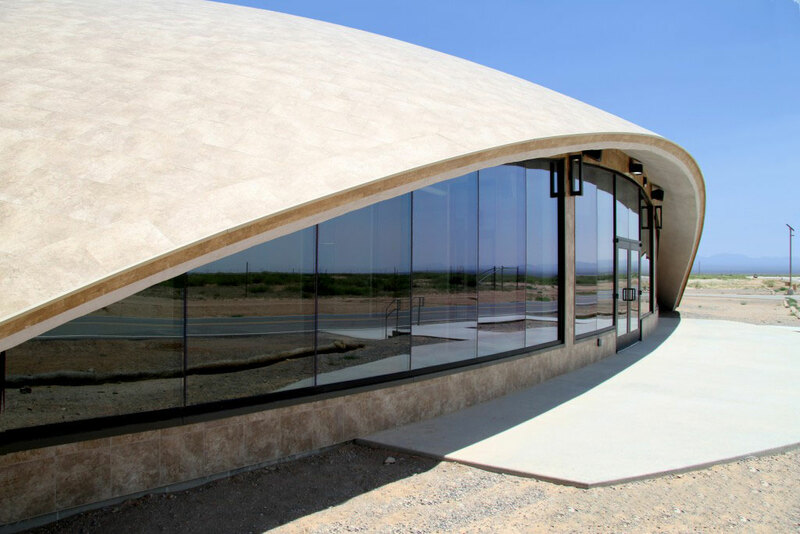 Spaceport America, way out in New Mexico’s desert, is an airport to space. Seriously. Late last century, many Zinfandels—the West’s very own lovely, dark-berried, barbecue-loving wine—lost their way. 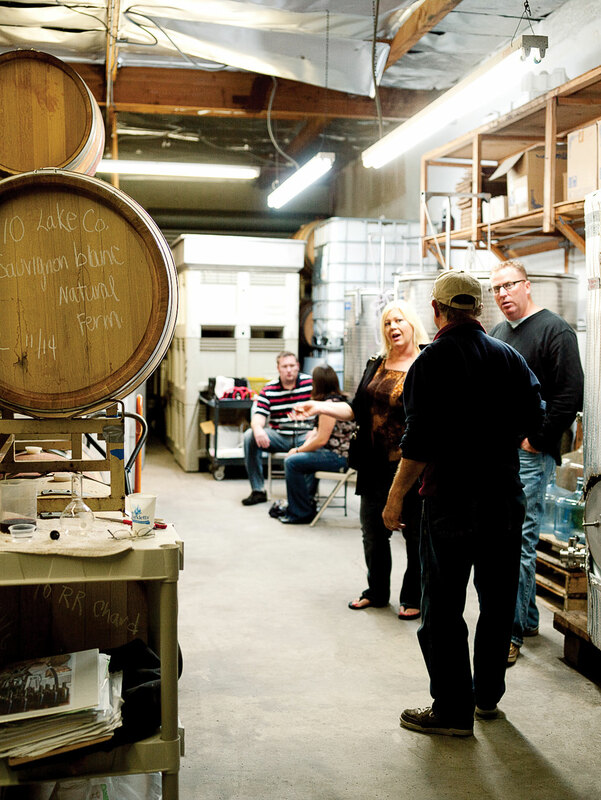 Chasing big flavors, winemakers let alcohol levels creep too high to be balanced. But recent forays through wine-shop Zin shelves have turned up a growing number showing restraint. Some of our recent faves: Elyse 2008 Morisoli Vineyard, Frog’s Leap 2010, Seghesio 2011, Storybook Mountain 2009 Mayacamas Range, and—from longtime champions of balance—Ridge 2011 East Bench. More and more Western winemakers are tackling port-style wines—the dark, sweet, fortified stuff that is best consumed fireside. And made from a range of grapes (Zinfandel, Syrah, and the traditional Touriga Nacional and its cousins), they’re even more versatile than the Portuguese product. We (gasp) paired them with pizza. Look for Prager, Ficklin, Quady, Sonoma Valley Portworks, and PasoPort. 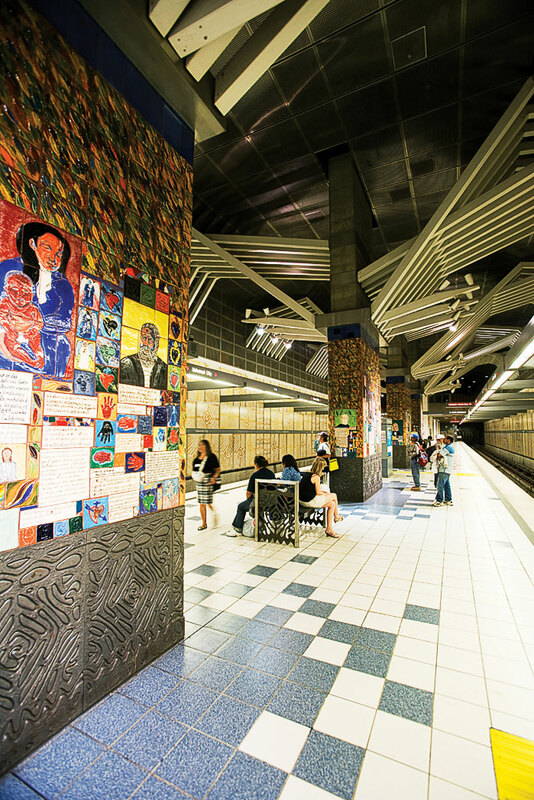 We’re super excited about the incredible subway expansion in car-crazed L.A. Dubbed the Purple Line Extension, the project will bring the L.A. Metro to the Westside. Skuna Bay Salmon, on Vancouver Island, B.C., has finally cracked the code on the farmed-versus-wild dilemma. By blending the best of wild and farmed practices, this “craft raised” salmon—clean, buttery, and always firm—is being hailed as the future of commercial fishing, coveted by the best chefs in the West. Look for it on menus of top restaurants like Morimoto Napa, the Phoenician in Scottsdale, and chef Jennifer Jasinski’s Denver restaurants. They’re working on getting it into stores too, so check listings at skunasalmon.com. Fish are raised in pens of glacier-fed, fast-moving ocean water, which cuts pollutants and keeps them swimming and healthy, as in the wild. Harvested fish are dipped in brine as a natural preservative for the journey. Trucks roll within 24 hours from when the fish were pulled from the water, and no one so much as peeks at the salmon until they’re in the chef’s hands. What’s the gist of your latest book, Cooked: A Natural History of Transformation? The decline in home cooking has meant outsourcing cooking to corporations that will never support local agriculture. On the West Coast, we can eat locally year-round—farmers’ markets are open 52 weeks a year. It’s an extraordinary blessing. In many parts of the country, that’s simply not possible. My hope is people will recognize that cooking is the best way to support your local food economy and eat more healthfully. It turns out that the single most important dietary choice is not about a nutrient or even calories, but an activity: cooking. What’s your home routine? We make a point of cooking at least four or five nights a week. It’s often something simple we can pull together in 40 minutes or so—roast vegetables, pasta, a piece of fish on the grill. Then there are the meals that roll over one to the other—the roast chicken that becomes chicken tacos, then soup. What’s your advice for people who rarely cook? Try to make something you usually buy processed—a pizza, say, or a stir-fry. I think you’ll be surprised how satisfying it is to make it yourself, how much better it tastes, and that it really doesn’t take much longer. 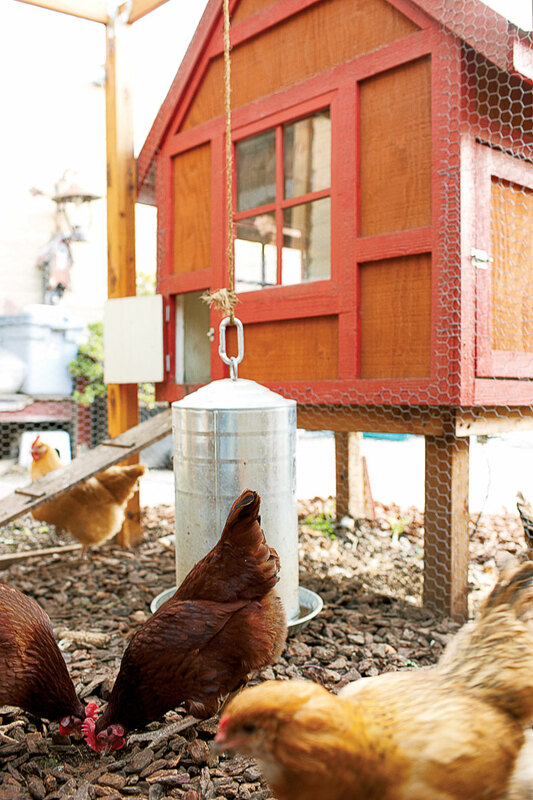 As the backyard chicken craze spreads like wildfire, Fidos all over the West are having to share the yard with the ladies. 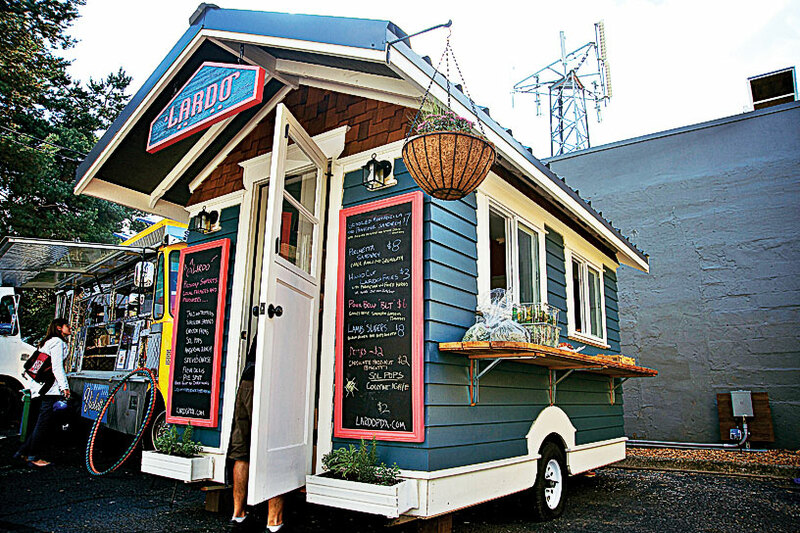 Henhouses run the gamut from high-design to DIY—we’ve seen clever ones crafted out of truck cabs and window frames. Check out backyardchickens.com for inspiration. On menus everywhere: locally grown seaweed. You can also find it at specialty markets and whip up easy dishes at home. Healthy alert: Seaweed is packed with super-good-for-you omega-3’s. 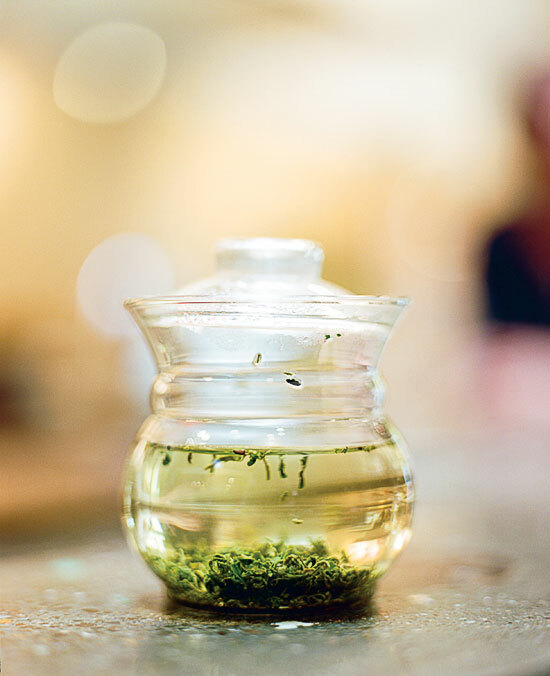 We’re riding a tea wave here in the West: tea drinks, tea-flavored chocolates, tea soaps, all kinds of cool new artisanal teas, green teas, herbal teas, biodegradable tea containers—and that’s just in the grocery store (actual teahouses offer even more). One of our favorite sips is pu-erh, a large-leaf Chinese tea that’s aged for extra-rich, deep flavor. Car-free festivals. Cyclists have taken over San Francisco streets on designated Sundays (sundaystreetssf.com). Portland (portlandsundayparkways.org), Oakland (oaklavia.org), Boulder (bouldergreenstreets.org), and even L.A. (ciclavia.org) have also joined in. City planning. Believing that biking to work should be easier for locals, Tucson’s Department of Transportation is planning a network of 40 bicycle boulevards, with traffic-calming elements for safer commutes. Bike sharing. 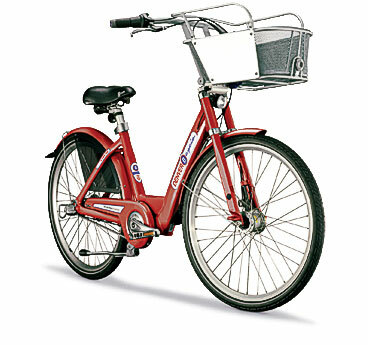 Home to more than 300 miles of trails, Denver launched the West’s first bike-share program (bcycle.com), with 50 kiosks of cherry red bikes (pictured). Seattle, Portland, and Boulder have followed suit, and San Diego, San Francisco, and L.A. are getting in on the action. Star Bay Area bartenders are launching catering businesses that bring handcrafted cocktails right to your party. H.M.S. 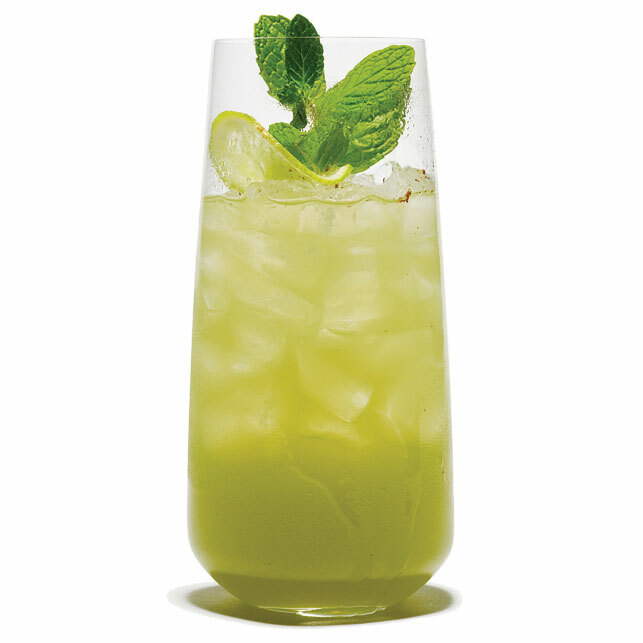 Cocktails (hmscocktails.com) specializes in fanciful drinks like the Chartreuse Swizzle (pictured) and Sazerac. With Rye on the Road (ryeontheroad.com), you get custom menus, vintage barware, and even workshops. Sure beats a watery G&T. Seattle Area. Molbak’s (pictured; molbaks.com) in Woodinville and Swansons (swansonsnursery.com) in Seattle have acres of greenery and airy, light-filled cafes. 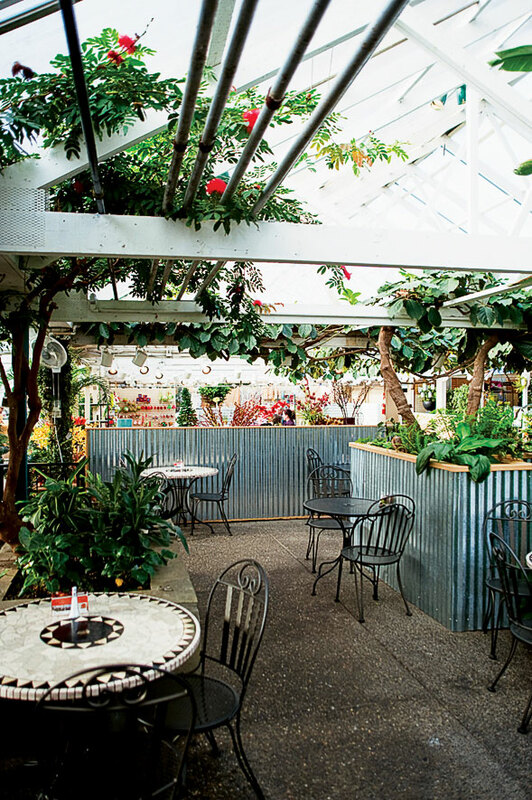 Check out the houseplant collection at Molbak’s—one of the best around—and Swansons’ conservatory and koi pond. Ayers Creek Farm, Gaston, OR. The Ayers Creek family crafts small-batch jams using only fresh fruit, lemon juice, and a touch of sugar. The logan­berry is a must. $7; 503/985-0177. Portland Wine Project. A twofer (Boedecker Cellars and Grochau Cellars together) in Portland’s Northwest industrial area. 503/224-5778. Farming’s next generation: Back-to-the-landers used to drop off the grid. But today’s young farmers don’t want to check out—they want to be part of a community, whether that’s selling micro greens to restaurants from a city plot or operating a CSA in the burbs. Take Ilan Salzberg (pictured), a farmer-turned-lawyer-turned-farmer who manages Ekar, a nonprofit farm in Denver that donates most of its produce to a local food pantry. His take on the growing relationship between farmers and residents: “Someone who never related to farming can show up on a bike, harvest a cucumber, and keep going.” Sounds good to us. Bold new farm schools. Law school? That’s so 1998. More students are heading to the West’s ag schools, drawn by new curriculum emphasizing organic methods, sustainability, and the business savvy they’ll need to thrive. The University of California, Davis, is creating a formal college major in sustainable agriculture, merging theory with roll-up-your-sleeves farm time. 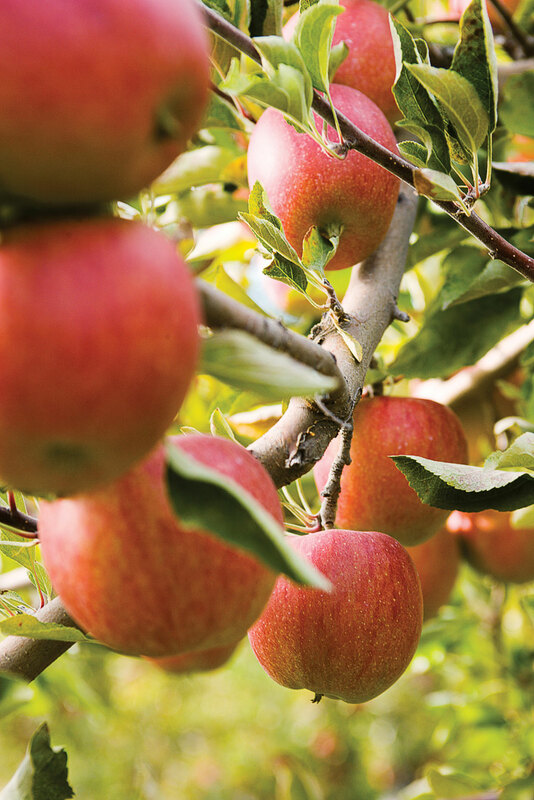 Washington State University now offers one of the country’s first majors in organic agriculture, while Cal Poly San Luis Obispo lets any undergrad, no matter what her major, minor in sustainable agriculture. Surprise! Hobie Cat’s latest kayak, the Mirage Oasis (pictured), doesn’t hail from Singapore; it’s designed and made right here, in Oceanside, California. We love the foot pedals, which free up hands for fishing and picture taking. $2,699; hobiecat.com for stores. Foraging. Hunting for mushrooms has become a passion in the West, as foragers scour damp forests, mountain peaks, and coastlines for the coveted caps. To safely join in the adventure, check out a mushroom club near you (namyco.org for listings). Or sign up for Healdsburg, California’s Relish Culinary Adventures (relishculinary.com), where you forage and then cook up your haul. Dinners. Menus here are the most fungi-friendly in the country. We like Poggio Trattoria ($$; 415/332-7771) in Sausalito, California, which celebrates the rainy season with dishes like porcini pasta and pizza with chanterelles. Festivals: Mushroom festivals are weird and wonderful things, mostly happening in late fall and winter. Get your feet wet at California’s Mendocino County Wine & Mushroom Festival (visitmendocino.com) in November. In late January, Oregon fetes its most famous fungus with the Oregon Truffle Festival (oregontrufflefestival.com), which hosts seminars and dinners in and around Eugene. The West is the land of the backyard, of days spent grilling outside while the kids run around barefoot. That used to mean grass—tough, resilient, feels-good-between-your-toes grass—until drought concerns ushered in a wave of low-water landscapes. We’ve been a big champion of those at Sunset, but lately, we’ve been thinking there’s room for grass too. Before you yowl in protest, consider this: Your lawn doesn’t need as much water as you think it does. There are now more drought-tolerant grass mixes available. And nothing, nothing, feels the same under your feet. (When was the last time you ran barefoot over a patch of eco-conscious pebbles? Exactly.) So go ahead and love your lawn. Just choose a low-water mix, keep your irrigation uniform, and treat grass clippings as the terrific fertilizer they are, by leaving them be or collecting them for your compost pile. Because without grass, you lose a great backyard design element—the restful spaces between your plantings—and your surest bet against soil loss. Ever pull up grass and find a clump of dirt attached? That’s called erosion control, and grass is better at it than anything else, period. Cheaper than a weed whacker, healthier than pesticides, and darn cute to boot, goats chomp through your invasive plants and weeds—from blackberry bushes to stinging nettle—often in a matter of hours. Rent from a farm or grazing service. Lease pairs at vegetationmanagementservices.com in Vernonia, OR, or check livestockforlandscapes.com for herds. Between the Granny-was-here decor and the chumsy breakfast, B&Bs can be hard to love. So we’ve cheered the arrival of a few that deliver the cozy, homey feel that chic boutique hotels miss, but with an updated, come-hither look. Sonoma County’s Farmhouse Inn (pictured; from $295; farmhouseinn.com) got us with its luxe new “barn rooms” fit for a king. And in the hills above California’s Anderson Valley, the century-old Toll House Inn (from $150; tollhouseinn.com) has reopened with a clean, classic update that makes us long for the country life. Innovators from guerrilla gardeners to backyard fruit swappers are forcing creaky city code to adapt to the urban farming revolution. 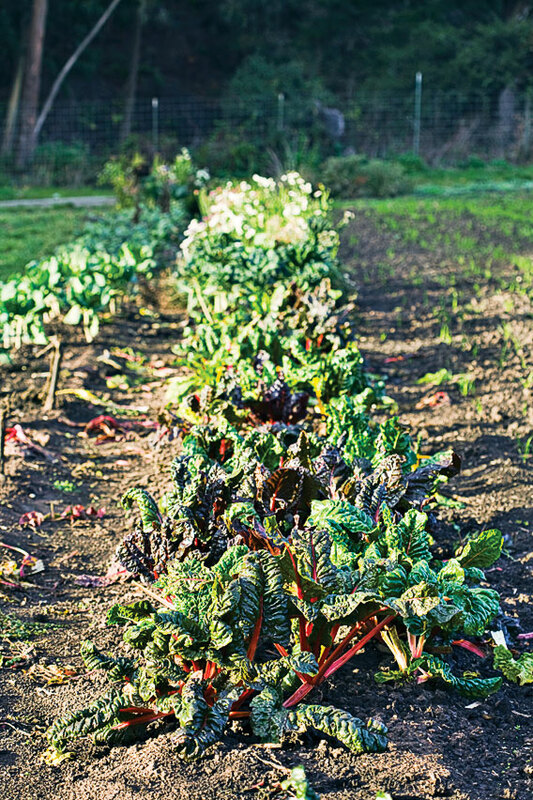 Take the case of San Francisco gardeners Brooke Budner and Caitlyn Galloway. Their 3/4-acre plot, Little City Gardens, was legal, but zoning prohibited them from selling a single bean sprout unless they bought a $3,000 permit. Seeing this as a bureaucratic killer for urban farms, the women challenged the rules–and it worked. Now the farm has a small salad greens business, supplying restaurants and a CSA program. Research shows that doing things tends to make us happier than buying things—and, let’s face it, the West is one of the best places to learn a new hobby. Lately, we’ve fallen for fly-fishing, which combines the thrill of catching fish with spending time (a lot of time) in beautiful landscapes. PRO Outfitters (prooutfitters.com), based in Helena, Montana, is one of the best guiding outfits around: Dip your toe in with a day trip ($500 for 2), or book a five-night stay at their luxe tent camp on the Blackfoot River (May–Sep; $2,780 for 2 with meals). The memories will make you a heck of a lot happier than, say, a new wing chair. Only out here would people think to make homes from abandoned cargo containers and old planes, lamps from bike chains, or planters from discarded sinks. Call it a knack for seeing the potential in something others have cast away. Parklets. Ped plazas. Hell strips. Call ’em what you want—but isn’t it marvelous what pavement can become when a community pulls together? In 2010, San Francisco kicked off what’s becoming a West-wide trend when, with help from the Pavement to Parks program, a strip of sidewalk in front of the Mojo Bicycle Café was transformed into a leafy oasis on Divisadero Street, among many other similar locations around the city. In Portland, a grassroots blog called Re-thinking the Right-of-Way gussied up commercial areas such as Mississippi Avenue and Alberta Street. Another favorite project is the Sunset Substation Park in Seattle: A pocket park with purpose, it turned a defunct electrical station into a green space with a solar-powered canopy. 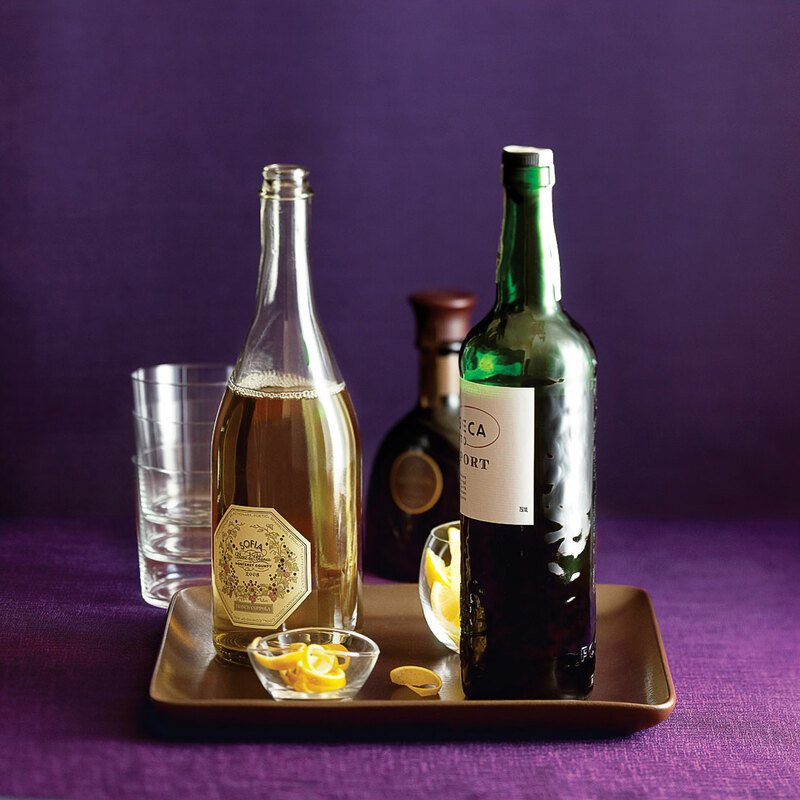 At fancy restaurants, we’re starting to think the hottest seat is at the bar—the menu is often less pricey, the wines by the glass tantalizing and unusual, and, thanks to the bartender banter (and eaves-dropping), it’s entertaining to boot. Plus, a pile of Monterey sardines or a tall craft beer just tastes better at the bar, where food tends to come out faster. Dig in at hotspots such as Redd in Napa Valley (pictured; reddnapavalley.com). 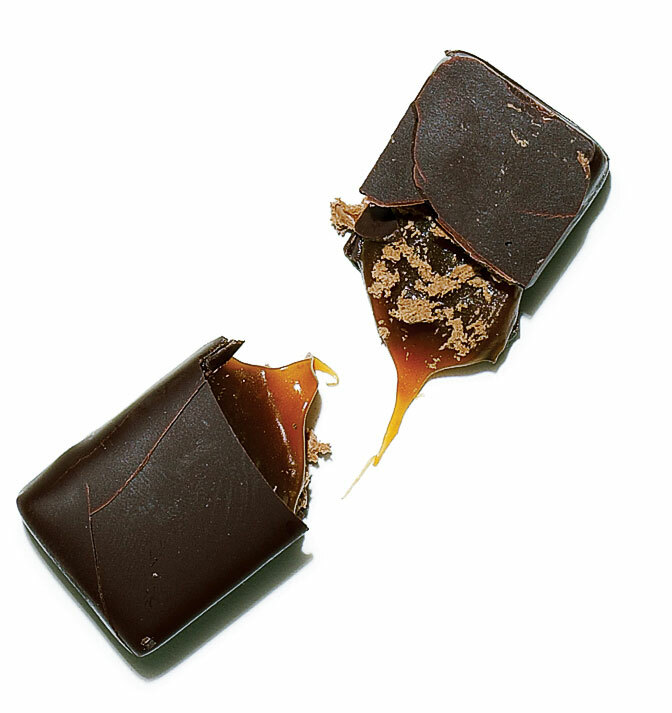 The DIY food obsession has led to classes in everything from canning to kombucha fermenting (really). 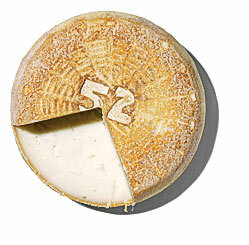 For our money, the biggest payoff comes from learning to make cheese—totally doable, yet utterly impressive. 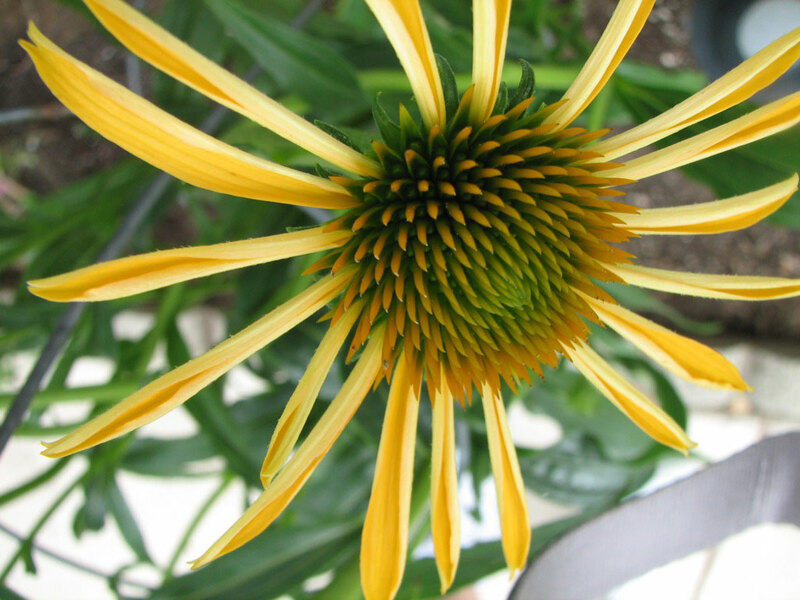 Get this: Westerners are now gardening (hold the weeding, please!) for fun … on vacation. Restaurant Jane in Santa Barbara tops swirls of soft-serve with housemade toffee and caramel as well as seasonal berry sauces. 805/962-1311. 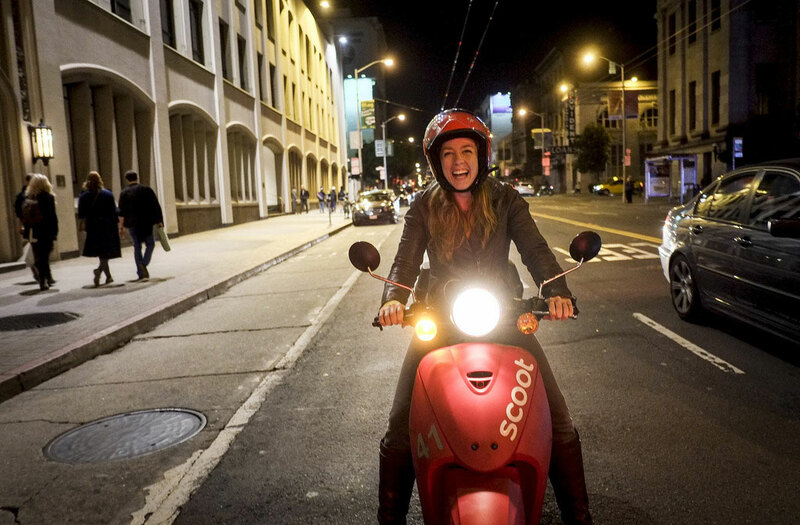 Imagine delicious restaurant delivery … without the restaurant. Entrepreneurs who do gourmet takeout—i.e., post a Web menu, hop on a bike, all without an actual storefront—are popping up in the West. Our hats (helmets?) are off to them. 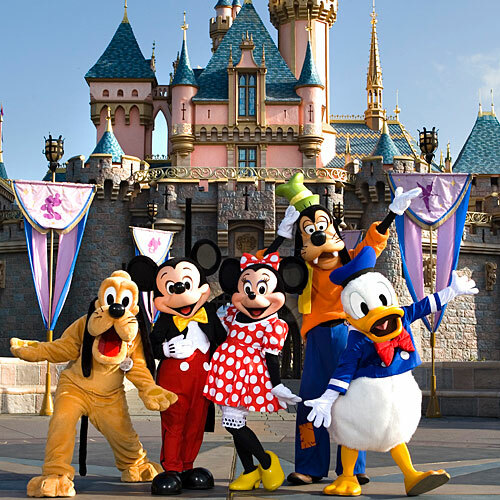 No place takes as many pains as Disneyland to get the details right, down to its Mickey Mouse topiary. And while the park is 55 years old, it never stands still. Its theme park twin, California Adventure, has opened a hallucinogenic laser- and fire-effects show. Coming this spring is a Little Mermaid extravaganza. And the sparks keep flying from Disney’s alliance with the animation wizards at Pixar: Finding Nemo’s Nemo, Toy Story’s Buzz and Woody—all have been installed in the pantheon of Disney rides. In 2012, the Pixar-inspired Cars Land opened—the Disney equivalent of a new continent.